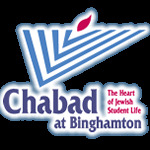 Shabbat at Chabad is more than services, dinner, dessert buffet, lunch, seudah shlishit and Havdalah. It’s about the community, friendships and inspiration that last all week. It’s about forging deep bonds to our heritage in a way that is joyous and relevant. It’s a gift for life. We invite parents to do something extra special for their child’s birthday, a simcha, or a yahrtzeit of a family member, by sponsoring or being a partial sponsor of any part of Shabbat. Please include full name and details of the occasion. Please mark this gift with a sign displayed in the Chabad Social Hall and an announcement in our weekly email. I/We wish to give this gift anonymously.